There are millions of women working in the IT industry at various levels worldwide. However, it still remains a male domain. This will probably come as a huge surprise to a lot of people because Indian society has traditionally been extremely male dominated. There is disparity everywhere. The male literacy rate is higher than the female rate, and there is a definite preference for the male child in large sections of the country. The female child is often seen as a liability (because the family has to marry her off). And lot of Indian marriages are still arranged. That shouldn’t have been the case with India as it was one of the few countries with a lady as the head of state. Indira Gandhi was debatably India’s most powerful Prime Minister 1966-1977 and 1980-1984. Her daughter-in-law, Sonia Gandhi, has also been the President of the Indian National Congress, a very powerful political party for a long time. Yet girl children and women still tend to be neglected here in spite of this. Even with so much neglect and disparity, women have still been able to break into the top levels of management in IT companies in India, and some of these firms are really large ones. Take for instance Neelam Dhawan who is the Managing Director of HP-India. Neelam has made HP India's top PC vendor. She has taken the firm to places no man before her could. Then there is Sangita Singh who has been given the responsibility of heading the $700 million Healthcare and Life Sciences business of Wipro. She has plans to take it to $1 billion in the next two to three years. Sangita was the marketing head of this large IT firm before taking over this division. There is Rekha Menon too, who plays a key role in the board of Accenture. Then there is Aruna Jayanthi as well, the CEO of Capgemini. Her aim is to make it the best-in-class offshore business player. There are plenty of other examples of ladies leading the show and in key roles in Information Technology. Of course women are breaking into top positions in non-IT firms as well, but Information Technology is often leading the way, because more women tend to be given responsibility. Indra Nooyi is the CFO of Pepsico, Naina Lal Kidwai is the Group GM and Country Head of HSBC India, Kiran Mazumdar Shaw is the CMD of the US$50 million biopharmaceutical company Biocon, Chanda Kochar is the MD & CEO of India’s largest private bank ICICI, Indu Jain is the Chairperson of India’s leading media group “Times”, Sulajja Firodia Motwani is the MD of Kinetic Motors, Ekta Kapoor is the JMD & Creative Director of Balaji Telefilms, and Shahnaz Hussain is the CEO of Shahnaz Herbals Inc.
What This Means for the Average Indian Woman? According to the Women at Work SHEROES report of 2014, the number of women entrepreneurs in India is growing. This was an extensive report which surveyed 50,000 women from 60 Indian towns and cities. The ladies were selected carefully from different social backgrounds. This is encouraging, but not adequate. Sairee Chahal, the founder of SHEROES, points out other data from the International Labour Organisation. She says that India still ranks in the bottom 20 of a list of 131 counties in female labour force participation. “Senior level female employees in India are just 5% compared to the global average of 20%”, says Sairee. Another report from the Korn/Ferry Institute points out that women directors account for just 4.7% of all boards of directors in India's 100 largest companies. So clearly India has a long way to go to catch up with the west. But what does this mean for the average Indian woman? It might still be difficult for the average female worker to rise to the top, fighting her way through all the stereotyping and male resistances. But it’s possible because it has been done before. This is a first for India. Never before, have so many ladies called the shots in Indian IT. And what is encouraging is that, all reports are saying that the situation is improving rapidly. There are definite signs of improvement. Women are going into work areas they had never done before, and they are gaining both appreciation and acceptance for this. Prameela Kalive, who is the Senior Vice President of software services firm, Zensar says, “When I joined our company in 2000, women were only employed in support functions like HR. But now, women hold portfolios in departments like marketing, strategy and delivery services”. Prameela has herself handled the key portfolios of emerging markets and marketing. Women are moving beyond the office as well. For instance, electrical engineering, which demands spending time in factories, used to be male-dominated. Not anymore. Indian businesses are also making a conscious effort to recruit more women with the objective of improving the gender diversity ratio. 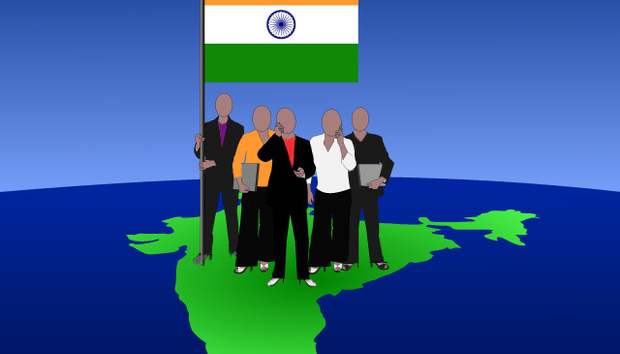 In fact, in India now, there are occasional charges of reverse discrimination in some niches, such as financial services, fast-moving consumer goods and IT. Financial independence always has a positive impact. This is happening in India too. Women are not restricted to their bedrooms and kitchens any more. They are demanding education and becoming careerists. Today a profession is as important as the family for a lot of them. In fact, many women are moving out of home for education and work. Naturally, all this is having a great impact on their social status. Women are not being taken for granted any more. Finally, traditional societies are realising that women can be bread-winners too, and sometimes they can even earn more than their men.